Making your corporate event the highlight of the social calendar requires something special and unique. A lolly buffet is the perfect opportunity to thrill your guests combining the latest in design with the decadent child-like fantasy of a seemingly endless supply of treats. We are a renowned national lolly buffet company catering to the corporate event market in its delivery of captivating candy centrepieces that have been known to cause all manner of fuss. Without exception, a lolly buffet is a punctuation mark on your event that people will continue to enjoy for years to come. Like to know more? Contact us today for a free lolly buffet quotation! 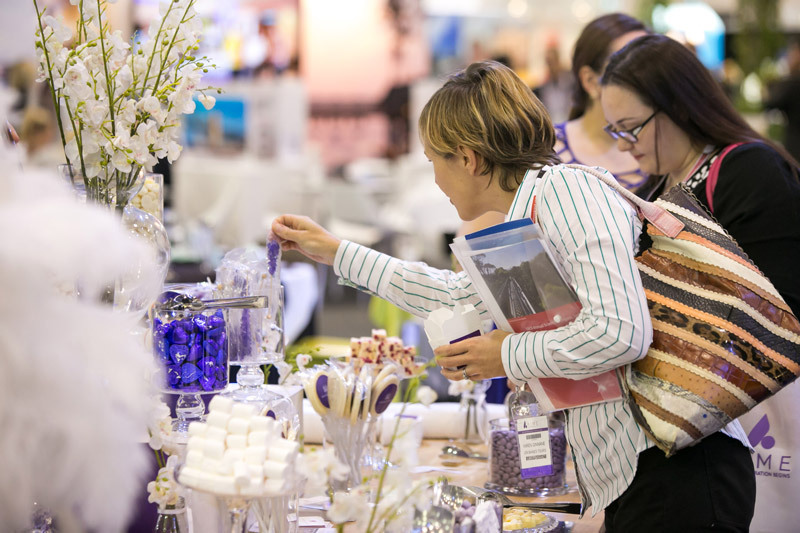 Corporate Lolly Buffet for Expo Booth – Attendees Love it! What can we offer your corporate event? A national, scalable service to match your requirements. Professional design consultation and theme creation – our buffet designers are the envy of the industry. Seamless integration with your catering company. Superior selection of treats for your lolly buffet. The most stunning glass canisters in Australia. TCBC attendants to refill the buffet and assist guests where required. Late notice supply – we thrive under pressure!